It’s a Seiko 5 SNK645. I love the cool face and interesting case design. The bracelet is also pretty cool looking as well, but it can be swapped for leather as well. Less than $70, shipped on e-bay. 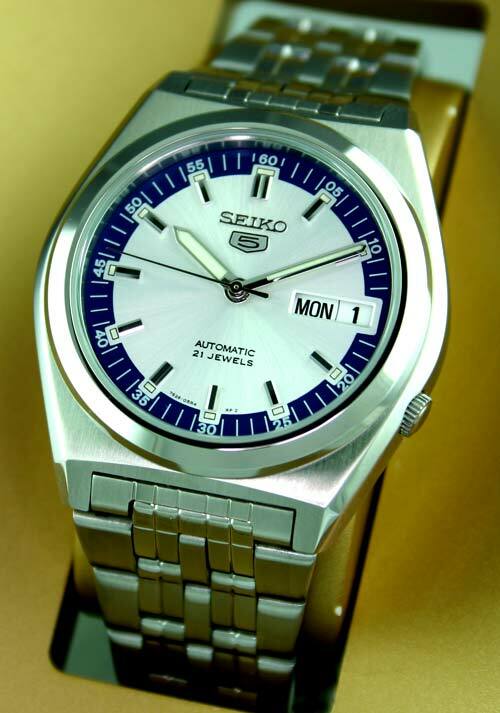 It does have the occasional US seller as well, so this watch will be going on my short list.